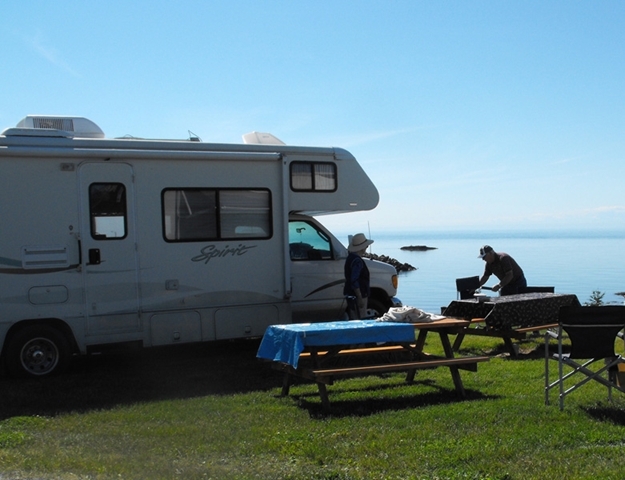 Sites #18 - #24 are Waterfront full-service Standard size sites, located on the front side of the Lower Terrace. 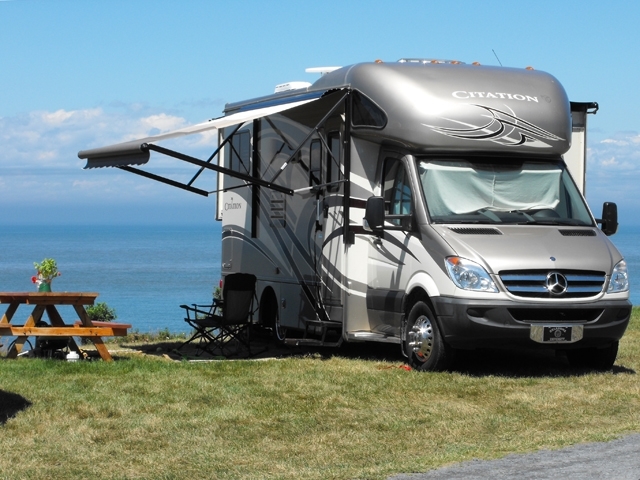 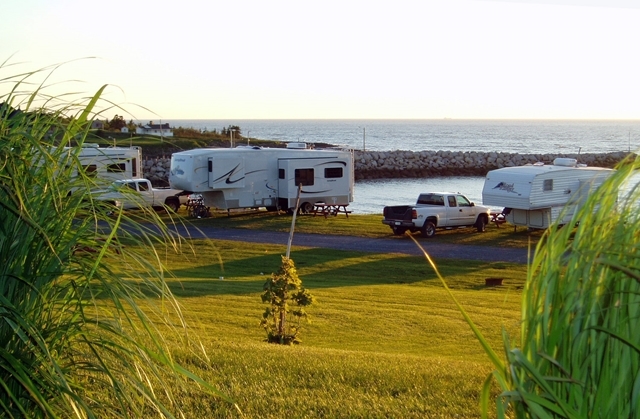 These level grass sites front on a large sloping lawn and enjoy an unobstructed view of the Bay of Fundy and spectacular sunsets. 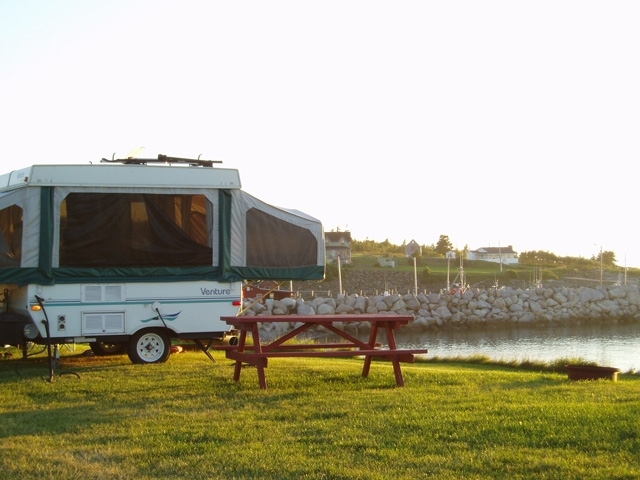 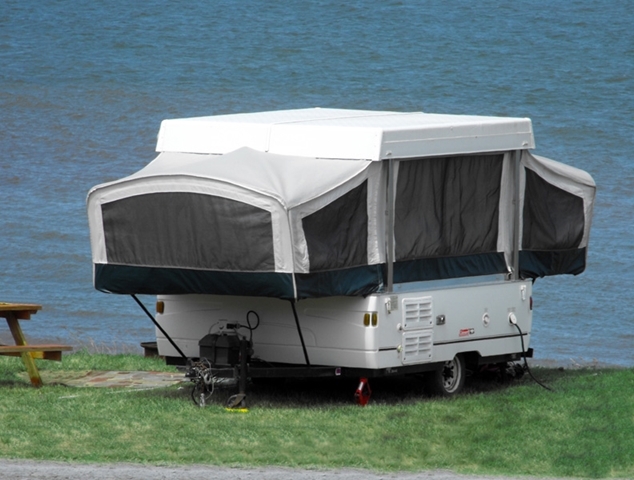 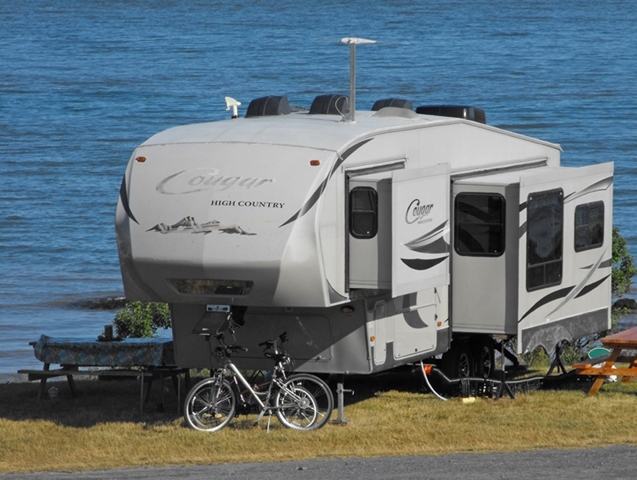 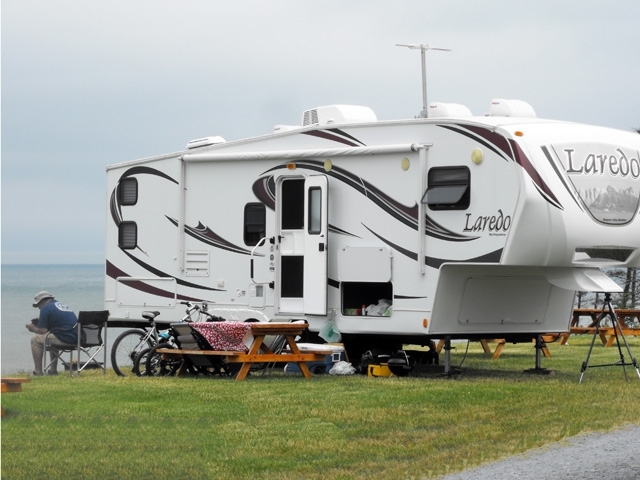 Each site accommodates one camping unit of 34 feet or less - trailers back-in and RVs may drive in, placing the front windows facing the water. 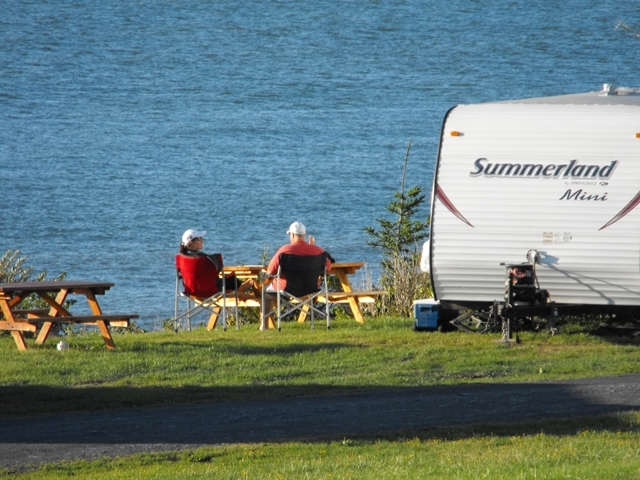 Each site is equipped with certified drinking water, 30 amp power supply, sewer, picnic table and fire ring.